The birthday socks are finished and blocked a full week before the birthday. I've even put them with the other present I bought some weeks ago which I chose well before I thought of making socks. I have a bad record of putting presents bought early in a safe place which is then promptly forgotten, but I think these will be fine. Material details: an old Patons pattern with calf shaping. I think a similar pattern is in their Winter Warmers book. Suggested wool was Totem, 8 ply. These are made from Bendigo 8 ply classic which is their machine wash 8 ply. 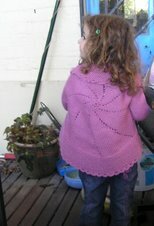 It knits very evenly and is currently on special till sometime in December. I rather like the big 200 gm balls with no joins needed. 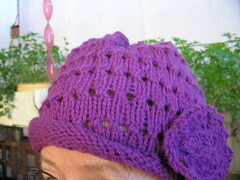 Needles were to be 3.25 mm but I knit loosely so went down to 3 mm. This has made a good firm fabric, great for socks and my tension was absolutely accurate to that recommended. They are very long on my leg, coming up onto my kneecap. I made them 2" shorter than pattern suggested. Even so, the leg seemed interminable. It went on forever. The amount leftover from the 200 gm ball can be seen with the yellow needles stuck in the ball. These needles were bought last month from St Vinnies in Burwood. They are superquiet. Bendy whihch tok a bit of gettng used to, but really pleasant to knit with. I was in Burwood yesterday and went into St Vincent de Paul. Nothing knitting related there. As I was about to come home, I walked past the local Anglicare op shop. I haven't had much success there with knitting things but went in. The picture shows my haul. I wonder if it all came from the same knitter. The tortoiseshell needles are fine and some of the dpns may be 1.5 or 1.75 mm. The gauge I used yesterday did not go down far enough to tell. I'll need to get my bigger gauge out. I'll wash them all. The dpns are quite dirty and four of them, on the far left, very fine, have been held together by an elastic band. Urrk! All up, just over 40 needles for the utterly exorbitant price of $2!